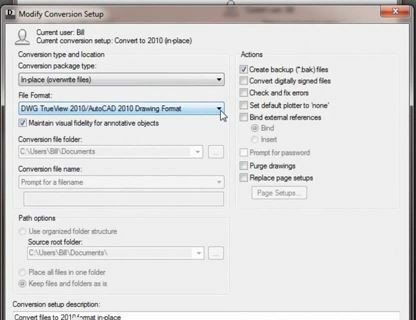 With all the collaboration in industry, it is sometimes its necessary to convert larger amounts of AutoCAD files to older versions. Instead of doing this indidivdually, I created a short 5 minute video to show you how you can do this in larger batches to save time (and frustration). Check out the video on how I use Autodesk TruView to help me do a little work for a lot of files, as well as how to rename the files with PowerShell. I hope that helps you stay ahead. Let us know if you have any questions.